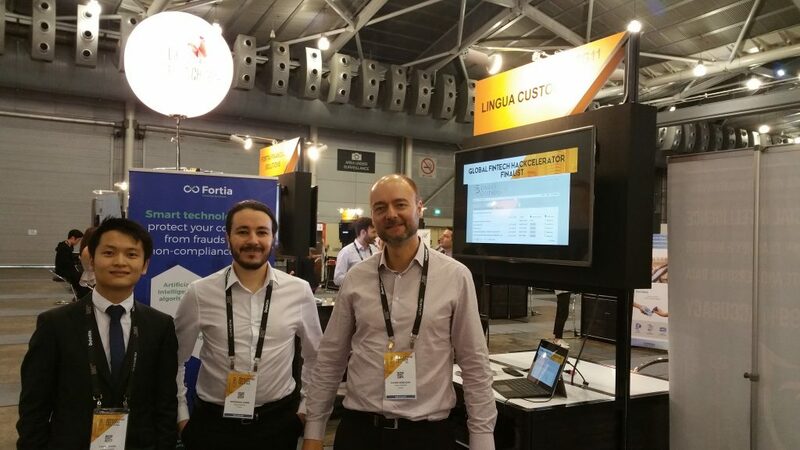 Lingua Custodia team is ready to introduce its solution to more than 30,000 participants from over 100 countries. 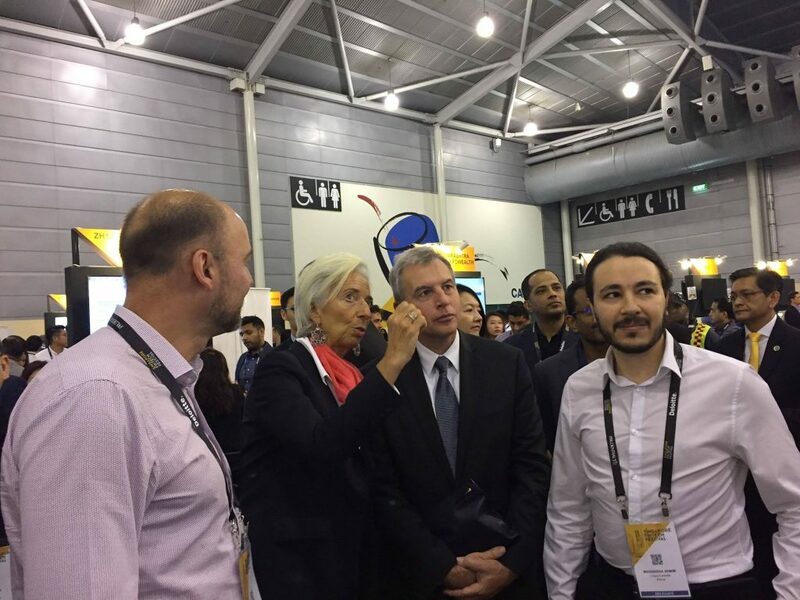 Christine Lagarde, Head of the International Monetary Fund, is visiting Lingua Custodia stand at Singapore FinTech Festival. 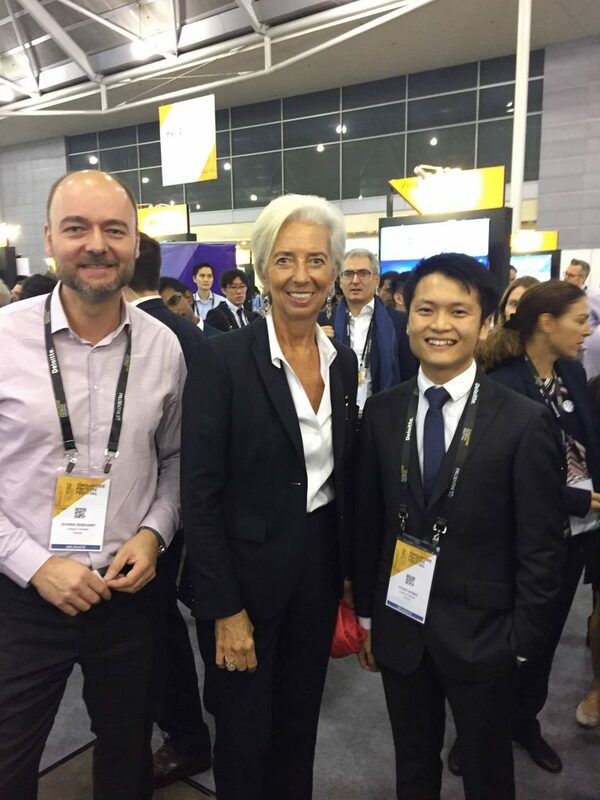 Lingua Custodia team is talking with Christine Lagarde. 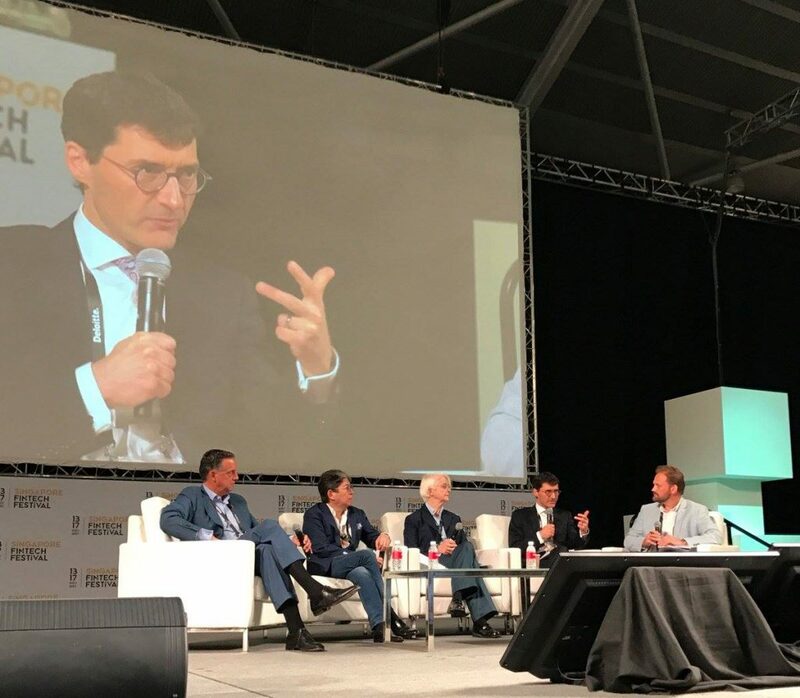 Her Majesty Queen Maxima at Singapore FinTech Festival. 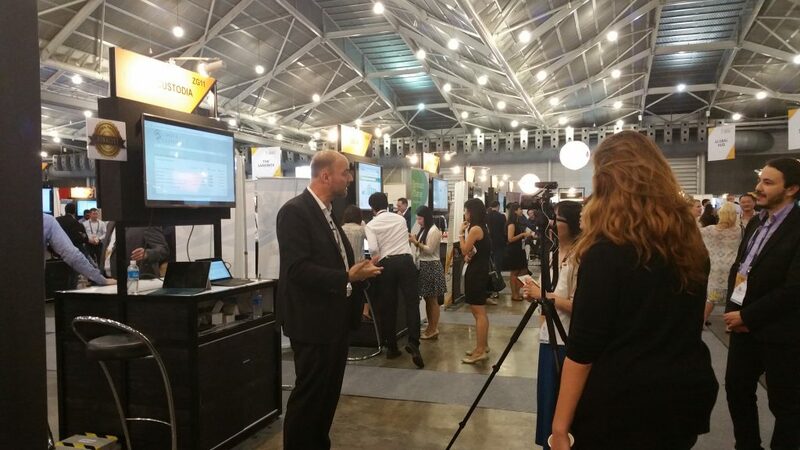 Marc Abensour – Ambassador of France to Singapore is visiting Lingua Custodia stand. A local media is interviewing Lingua Custodia team. Anne Le Lorier- First Deputy Governor at Banque de France is talking with Lingua Custodia team. 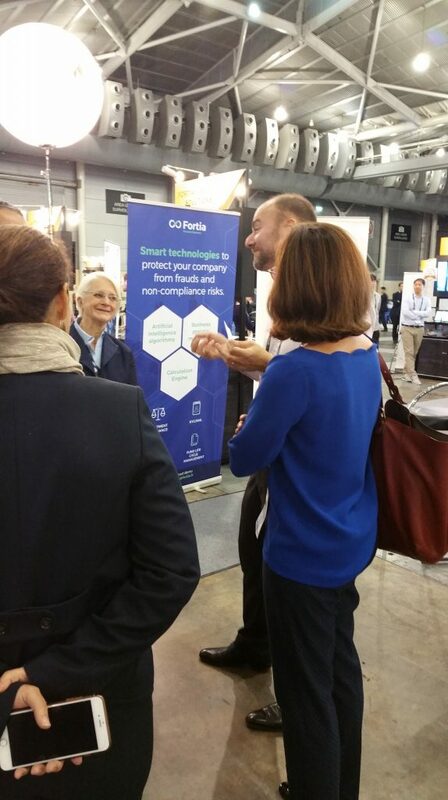 Joerg Gasser, Swiss State Secretary for finance visited Lingua Custodia’s booth to know more about our machine translation solutions. 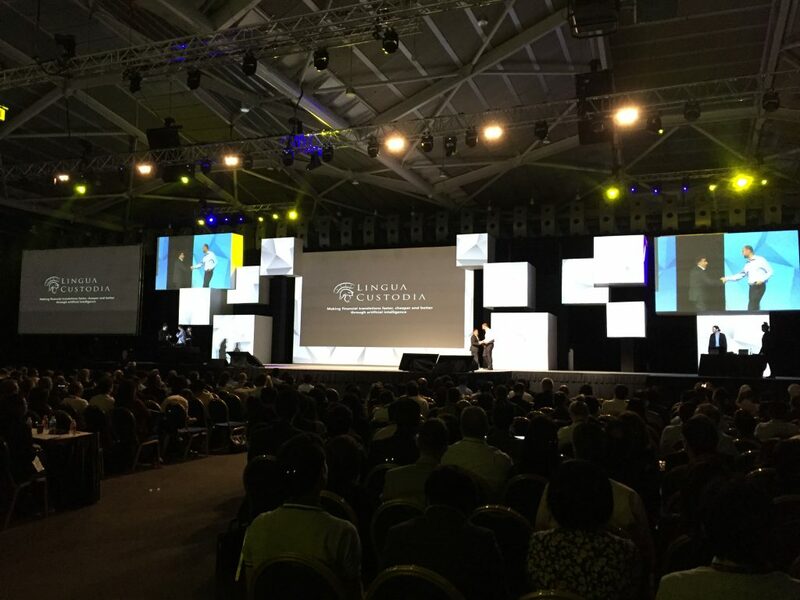 Tharman Shanmugaratnam – Deputy Prime Minister of Singapore visited Lingua Custodia stand. 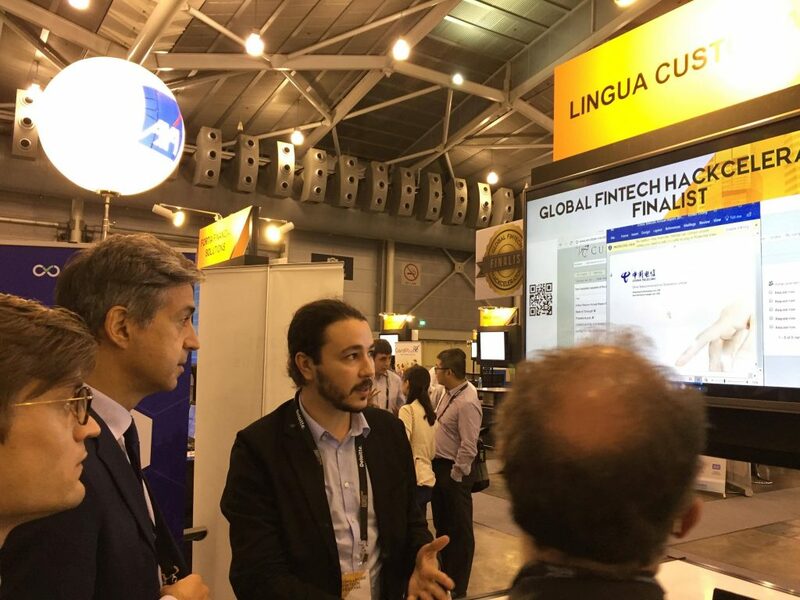 Olivier Debeugny is presenting Lingua Custodia’s smart translation solution to more than 3,000 audiences at Singapore FinTech Festival.